Mexican airport operators are posting some of the country’s best stock returns as air travel surges to a record, bolstered by cheap fuel, a domestic consumption boom and currency shifts that entice dollar-wielding foreign tourists, according to Bloomberg. The peso’s drop against the greenback has made it easier for U.S. tourists to afford sun-drenched holidays amid Mexico’s warm waters and soft sands. Domestic ticket sales are also increasing as discount carriers chop fares, increase flights and add new destinations in a bid to coax travelers onto modern jetliners instead of long-haul buses. Rising passenger loads swell the coffers of Mexico’s three airport operators — nicknamed OMA, GAP Airports and Asur — because the companies receive a slice of a fee that’s paid by every customer buying an airline ticket. The number of fliers climbed by about half in five years to a record 74.8 million in 2015, according to government data, and Mexico’s on track to set an all-time high this year. “Every time someone buys an airplane ticket, the airport operators’ cash register rings,” Marco Montanez, an analyst at Vector Casa de Bolsa who recommends buying shares in all three airport companies, said by telephone. Every five years, the operators negotiate with the government the possibility of raising the fees based on the companies’ planned infrastructure investments, Montanez said. All three airport operators at least doubled the return of the benchmark IPC index this year through Wednesday, with OMA, or Grupo Aeroportuario del Centro Norte SAB, posting the index’s fourth-biggest gain among major Mexican stocks. OMA rose 0.3 percent at 12:25 p.m. in Mexico City. 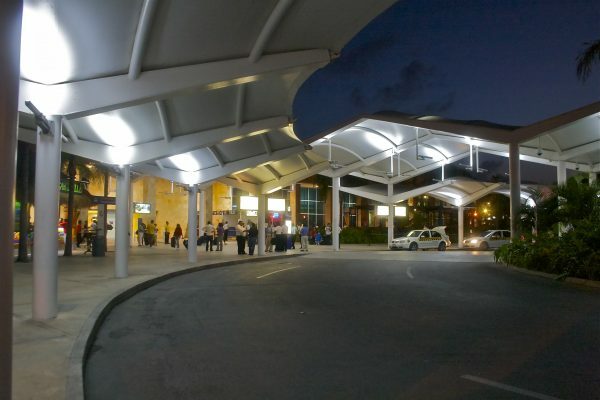 GAP, or Grupo Aeroportuario del Pacifico SAB, gained 0.9 percent and Asur, or Grupo Aeroportuario del Sureste SAB, was little changed.